Key West limos is available for all your transportation needs. For your wedding needs Key West Limo will take care of all your transportation needs. If you want to have fun in Key West and let us do the driving just call. 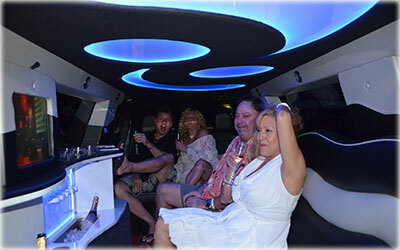 Key West Party Time limo is your Key West Limo Service. Our Super Stretch Lincoln Limousine offers the best in Key West limousine for getting around in Key West. Key West Limos do the driving so you do not have to worry about whom is the designated driver and all your friends can have fun in Key West. When you use Key West limos you do not have to worry about parking in Key West or how to get around our island city, just sit back and enjoy the ride. Our Licensed and insured professional drivers will show you the best places in Key West to enjoy your time in Key West.